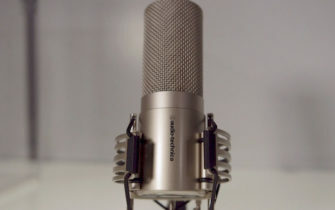 Californian ribbon mic specialists Royer have just revealed a new model: the R-10. We always look forward to a new mic from Royer. The R-10 promises to offer the realism and warmth of a ribbon mic at a pocket-friendly price. The new mic is a passive design and can handles 160dB SPL at 1k – coupled with its inbuilt windshield to reduce plosives, this mic should be able to take a lot more punishment than a typical ribbon. The David Royer custom designed transformer provides a huge amount of headroom before distortion, making it ideal for capturing louder signals, like brass and big guitar cabinets. With a retail price of US$499, this handmade mic with such a formidable pedigree is unbelievable value. Visit the Royer website for more details.